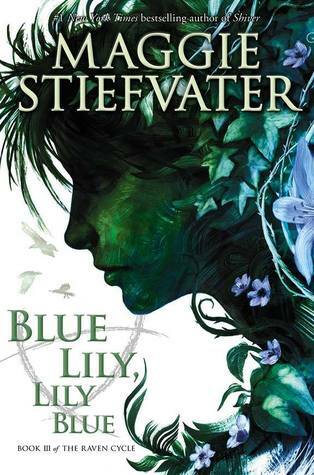 Blue Lily, Lily Blue is the third book in Maggie Stiefvater's Raven Cycle. This review therefore may contain mild spoilers for the previous two books (reviews of which you can find here and here). In the arena of 300 Fox Way, Monmouth Manufacturing, Aglionby and Henrietta the times, they are a’changing. Blue finds herself with not one but two lost parents, Adam navigates a new and overwhelming reality, Gansey frets, and Ronan dreams. Persephone guides, Calla watches, and Mr. Grey hears his life in lyrics from the stereo of a white Mitsubishi. Meanwhile, Colin Greenmantle chases both knowledge and revenge, an old Englishman appears with his ignominious dog and underground sleepers sleep, some to be woken and some never to wake. While the first two books in Stiefvater’s Raven Cycle have focussed primarily on one character (Blue in The Raven Boys and Ronan in The Dream Thieves), Blue Lily, Lily Blue is truly an ensemble affair. But, as with both previous books, the beating heart of the story is Richard Gansey III. Previously, Gansey has been both powerfully present and strangely intangible. Here he is vulnerable. From the very start of the story, Stiefvater takes Gansey and shows him as frightened and fragile. More than ever, she paints him as a character who walks daily a fine line between life and death. Not only is he vulnerable, he is worried. Worried about his friends, about his relationship with Blue and always, always about the quest that he fears may be ending – because what is Gansey without his search for Glendower? Gansey, always a fascinating character, has never been more compelling than he is with these fears and flaws to the fore. His relationship with Blue is heart-rending to read for of course there can be no relationship. However, rather than focus on the fact that Blue can never kiss Gansey, Stiefvater chooses to focus on the delicate balance of the group as a whole and how the secret that Blue and Gansey hold might imbalance it. Very early on, Blue muses on the fascination the characters have for each other, the intense bond that she has forged with her Raven Boys and even as she knows it is perhaps unhealthy she can no more break it than she can stop breathing. Perhaps the most likely to upset the apple cart is Adam. A character intricately drawn he is, with Persephone’s help, finding his way in a brave new world and, as he does so, slowly coming to terms with both his past and his present. In terms of character development, Adam has always been the most interesting character and this continues in Blue Lily, Lily Blue. He’s a watcher, an observer of both himself and of the others and, in Blue Lily, Lily Blue he watches Ronan. Ronan still lives with his variety of secrets – they just aren’t all as secret as he might think. As well as the core group of characters, Stiefvater continues to excel in weaving extremely well written adults into her story. While the Raven Cycle is clearly aimed at Young Adults, Stiefvater doesn’t pander to this age range when writing adults – instead she has created complex characters who exist in her story world not just as obligatory padding (as often seen in YA) but as an integral part of the plot. Standing out from the crowd are Persephone, eerie and ephemeral and Colin Greenmantle and his wife Piper, both splendidly and entirely sociopathic. Blue Lily, Lily Blue takes the Raven Cycle to a far darker place than it has previously ventured and also one that is more frighteningly magical. The characters literally descend to the depths and impending peril lurks in every shadow. As with the previous books, Stiefvater uses words to pull readers expertly into a world that is familiar and unique, comforting and distressing. This is a story that feels ageless yet new – much like Gansey himself. It will leave readers both gasping for more (because damn you, Stiefvater, with your endings) and frightened to read on. Mainly, it will leave them with a literary photo reel running through their minds because this is a book filled with striking imagery: a dreamer in his lonely chair; a tragedy between two mirrors; a girl stepping into a dark lake; a shadow raging against the dying of his light; a herd of skeletal impossibilities, alive in an endless cavern and a boy, sitting in a dark kitchen, touching his face for fear that death might be crawling there. 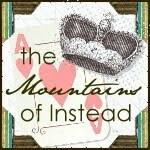 It’s amazing, it’s magical and it is by far some of the best writing I’ve ever come across. Highly, highly recommended. This review was brought to you by Splendibird. Blue Lily, Lily Blue is available now. Thank you to lovely Melissa at The Book Nut for sending me her ARC so that I didn't have to wait. Because waiting was TOO MUCH. This book is about a new school term and a baby boy being born at Christmas it is also about making Christmas lists. The main person is Mattie who is nice and tall and she loves school. The other characters are mum, she is nice and tall and Dad who is nice and tall and V who is good at reading and is naughty and Stanley who is nice and good at reading and Anika who is nice and good and Dontie who is nice and tall and Jellico who is loud and nice and is the dog. I liked the bit when the baby is born because I like babies. I didn't like the bit where Mattie says that the year should start in September because my birthday is in January. I would tell my friends that the book was nice and they should read it for themselves. I am going to read more books about Mattie. 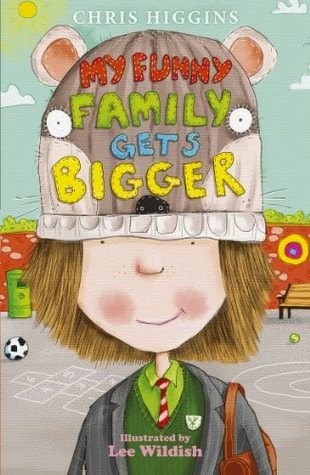 This review was brought to you by Lady M. My Funny Family Gets Bigger is available now. Lady M plans on writing more reviews but does not plan on learning to type, as she feels it is unnecessary when Splendibird is available. She applies this logic to many things. Lavender Oaks High is online, all the time. At least the students are… and most of the staff, too. It’s a digital world, with Facebook ruling the technological roost – much like the majority of high school s in the Western world. At Lavender Oaks, the hive mind is of social media is observed, catalogued and encouraged by Miss Demeanour, a mysterious figure always on the lookout for the next scandal. 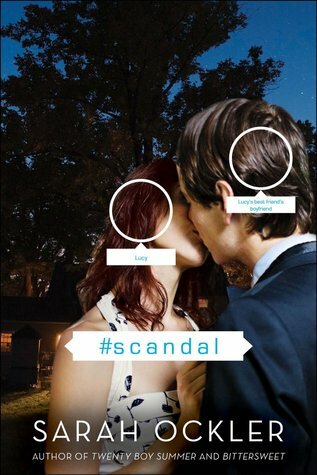 Lucy Vaccaro follows Miss D. as avidly as the next person but when compromising photos of Lucy and her best friend’s boyfriend appear online, she finds herself at the heart of her very own #Scandal. Lucy, while hardly flawless, is quick to own her mistakes and over the course of the story comes a long way in terms of maturity, friendships and perception of others. The relationships that she has with her friends and family (all of whom are exceptionally well-realised) are extremely believable as is her confusing romance with Cole, a suitably lovely if equally flawed character. Her attitude towards her sister is particularly interesting in that it has been skewed by her sister’s portrayal in the public eye which in turn has been influenced by her sister’s very real yet magnified issues. 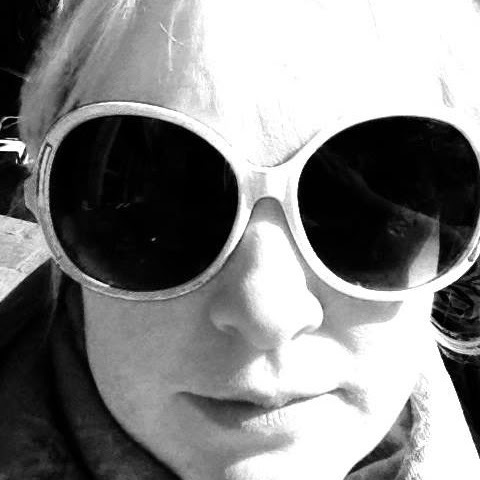 But then that is what Lucy’s story is all about – perception and communication and the overload of both in the world of always accessible social media. #Scandal is a bit of a rollercoaster ride. It overflows with the kind of surrealist humour and youthful cynicism of Glee and Easy A and Ockler clearly has her finger on the pulse of new and less than new pop culture with references to Buffy, Veronica Mars, Twilight and The Hunger Games. Miss Demeanour is a shameless homage to Gossip Girl herself. It’s all highly knowing, more than a little bit meta and extremely entertaining. Yet Ockler, rather than merely providing readers with a bit of clever fluff (and there is nothing wrong with clever fluff) adds a murkier layer to what is ultimately a morality tale. Cyberbullying is a pretty terrifying reality and #Scandal demonstrates how swiftly and effectively a reputation can be destroyed, while pointing out that school administrations and adults in general need to make themselves aware of exactly what is going on in a world where the millennial generation and beyond embrace new technology in the manner of fishes and water. While highly entertaining, #Scandal is a tale of our times and I suspect we should all be taking notes. 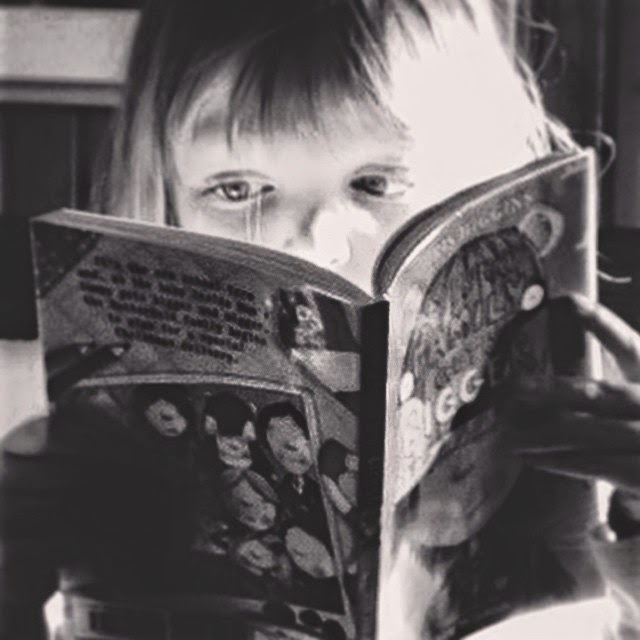 The kids we meet at Lavender Oaks live lives that are utterly informed not only by social but also by traditional media. 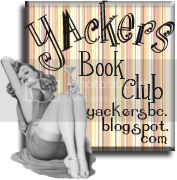 Facebook might be at the heart of Lucy’s scandal, but it quickly becomes clear that the lens through which she and her friends view the world is one darkened by TV, tabloids, smart phones and Twitter. They are both the watchers and the watched and they are hyper both of the power they hold as much as of the vulnerability engendered by the all-seeing eye of the modern world. Ockler skilfully explores just how much can be lost through living life online rather than face to face – a lesson that Lucy learns in time but which will leave you wondering about the rest of us. Highly recommended. This review was brought to you by Splendibird. #Scandal is available now. Thank you to the publisher, via Edelweiss, for providing us with a copy of this title to review.